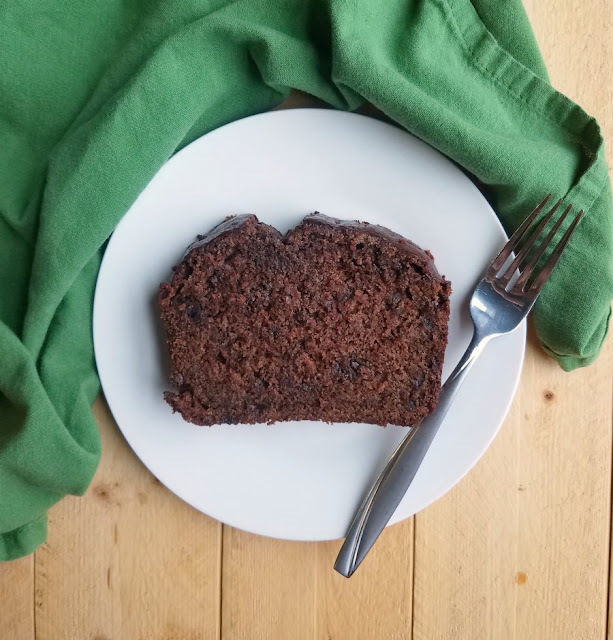 Make life a little sweeter with a loaf of sourdough chocolate banana bread. It's a fun breakfast or a great simple treat. 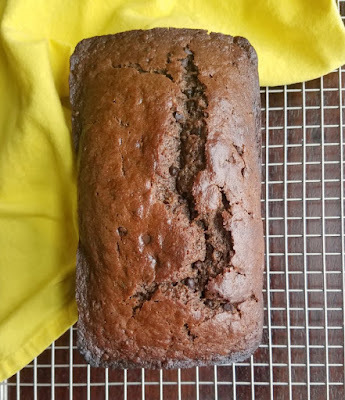 This chocolaty bread is loaded with banana. It's soft, moist, flavorful and perfect with a cup of coffee, tea or milk. Plus it is a great way to use some sourdough discard too! Sourdough starter needs to be fed regularly to keep it bubbling away happily. In order to keep from having your starter take over your entire kitchen, you usually discard part of the starter and let the rest bubble away for another baking day. The problem is, I don't like discarding the discard. Poor Big Bertha (my sourdough starter) worked hard. So I like to show her the respect of baking every bit. Nine times out of ten the discard finds its way into a sourdough pizza crust. This has kept pizza on a regular rotation on our dinner menu and I've heard no complaints about that! I also have a big affinity for sourdough muffins. They are another great way to use some discard. If you have a starter, you definitely need to put the muffins on your list. Our favorites include the chocolate chip and caramel apple, but they are all good and pretty healthy as well! I almost always have some bananas in the freezer. Lately they have mostly found themselves in smoothies, but as the weather turns colder they are likely to end up in a lot more baked goods. So this bread is the culmination of the start of banana baking season and a hungry sourdough starter. The cross section of two forms of not wanting to waste any food turned into something delicious! This bread is quick and easy to make. The addition of baking soda means you don't have to wait for your starter to get going. 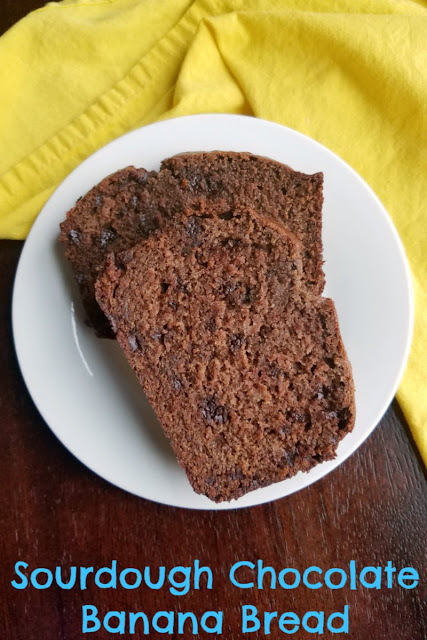 It gets the boost it needs and keeps the banana bread texture we all know and love. The chocolate of course makes it even better. I mean, it is chocolate after all. The cocoa powder gives a nice chocolate flavor throughout and the chocolate chips kick it to the next level of goodness. This bread is moist and flavorful on its own and is also great with a bit of butter smeared over top. Do you have a sourdough starter? What are your favorite ways to use the discard? Preheat oven to 350 F and grease a 9x5" loaf pan. In a mixing bowl, stir together sugar, banana, sourdough starter, oil, egg and vanilla. In a separate bowl, whisk together flour, cocoa powder, baking soda, salt and cinnamon. 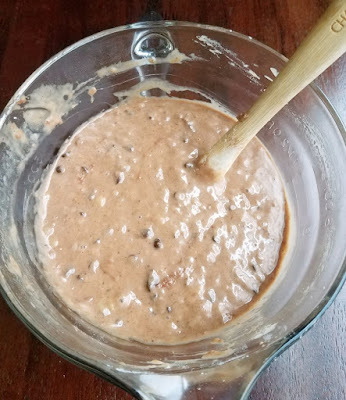 Mix wet and dry ingredients until just combined, then fold in the chocolate chips. Pour batter into prepared pan and bake for 50-55 minutes or until a toothpick inserted in the middle comes out mostly clean. Cool in pan for 10 minutes, then invert out of pan and cool completely on a wire rack. 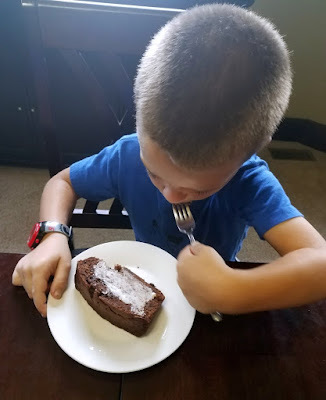 A moist, chocolatey bread, what can be better! It would start my day off right. Have the BEST long weekend sweet friend! This bread sounds delicious! I need to get a new batch of sourdough going. I miss mine! It is like having a non-stop science project going! OH HECK YES! 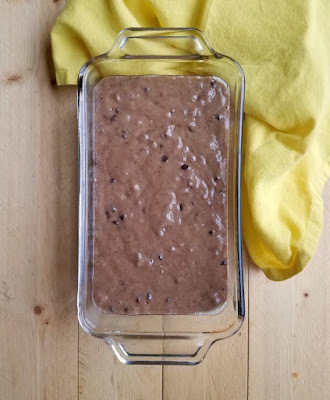 I've never thought to incorporate sourdough into banana bread so I have to try this. LOVE IT! Ha! It really is delicious, thank you! Hi Carlee, I hate throwing any sourdough starter away, but sometimes just have to. I do keep two jars in the fridge, one with the fed starter and one with discard and am always on the lookout for anything to use up the discard. I'm going to have to give this recipe a try for sure! I have pizza on the menu tomorrow because my starter is looking hungry. THat is my go-to but muffins and quick breads are fun as well! 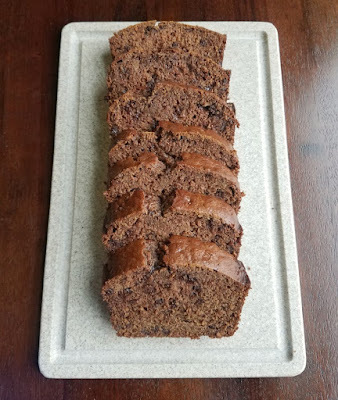 We will really enjoy your sourdough chocolate banana bread, we love a great bread like this! Hope you are having a good week and thanks so much for sharing with us at Full Plate Thursday! The discard is another reason why I need to get some starter going! Your sourdough recipes all sound so good! Oh wow, looks awesome ! I need something easy to make and heart-warming for this weekend !